Its priority? Your freedom. And its playground? Anywhere you might like to go. Fostering alpine style, the Prolighter embodies Millet very modern character with its clean-cut shape and advanced technical features. This functional precision has been approved by the Chamonix Guides Company and the guides themselves, who use it in their day-to-day work. Its slim, flexible hip belt is built like a harness. 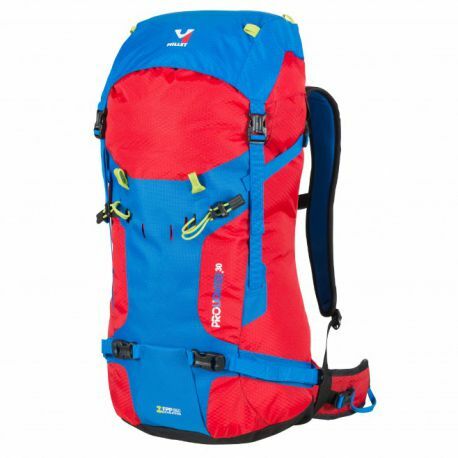 In every respect, this alpinist backpack weds rugged strength with performance.